Retail giants like Amazon are making headlines with their attempts to improve logistics operations with the use of drones. Yet original equipment manufacturers (OEMs) should not forget the need for logistics assistance on the ground. Although the expense and labor involved with utilizing automated guided vehicles (AGVs) may have previously deterred many organisations from adopting this technology; developments in the field look set to increase demand. As with many forms of technology, today’s AGVs are unrecognisable from their early incarnations. The first AGV, introduced in 1953, was a modified towing tractor that was used to pull a trailer. 65 years later, AGVs can now gently handle valuable finished goods and automatically load them onto over-the-road trailers without any special dock equipment. Additionally, software and computer systems allow AGVs to operate according to manufacturing orders and production flow requirements. Information on where and how products are stored and transported can also be recorded to provide traceability or allow items to be located quickly in the event of a product recall. One of the reasons that AGVs can perform more tasks is due to increased autonomy. 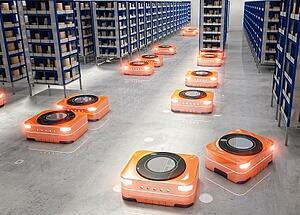 In the early years, AGVs navigated around the warehouse using in-floor wires, which were costly to integrate. Custom battery solutions have played an invaluable role in allowing AGVs to operate more freely. 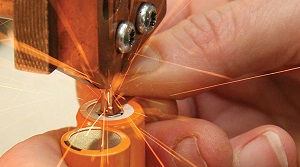 Having the ability to choose the optimum battery chemistry and design for each robot allows OEMs to ensure that performance, temperature, size and capacity requirements are met. Additionally, AGVs have been afforded increasing freedom thanks to advances in laser and software navigation. Software directed AGVs are easier to replace, as when a new AGV arrives it can quickly download the instructions used by its predecessor(s). This is likely to cause an increase in demand for more specialised AGVs that can undertake more bespoke functions. As AGVs are reliant on battery power to function, choosing a custom solution can ensure the robot is able to fulfil its required tasks as efficiently as possible.